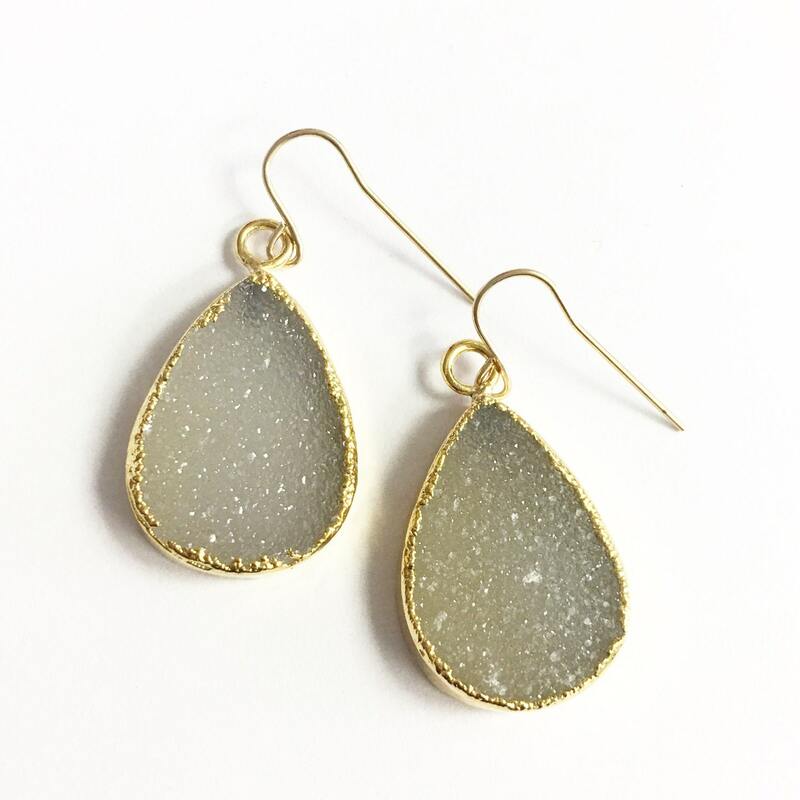 Gorgeous sparkling druzy teardrops grace 14kt gold filled ear wires. Perfect for everyday or that special occasion. 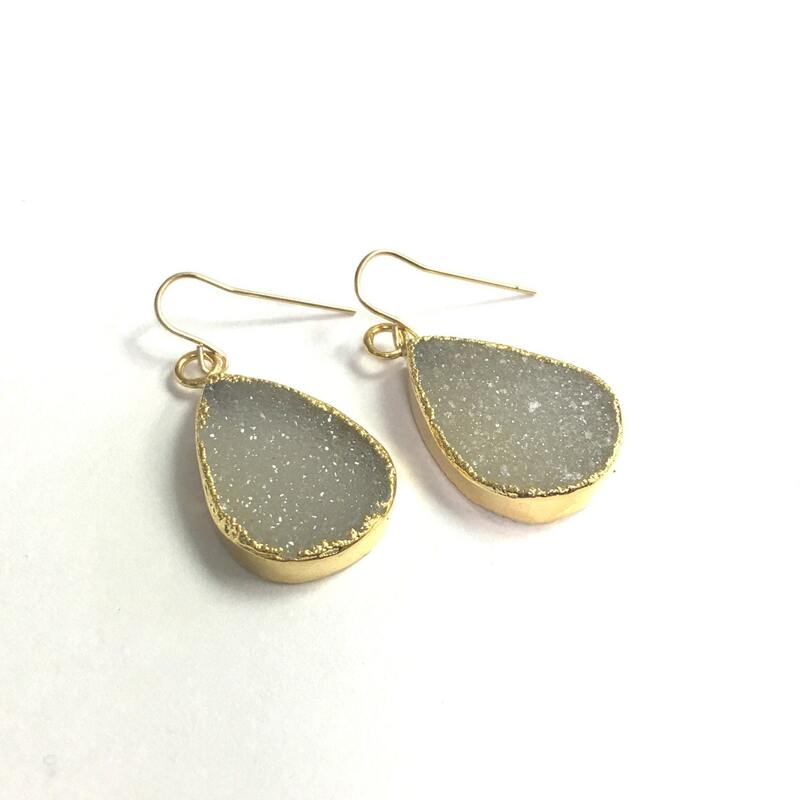 -30mm crystal druzy with 24kt gold electroplated edging. -Color varies from white to light gray. 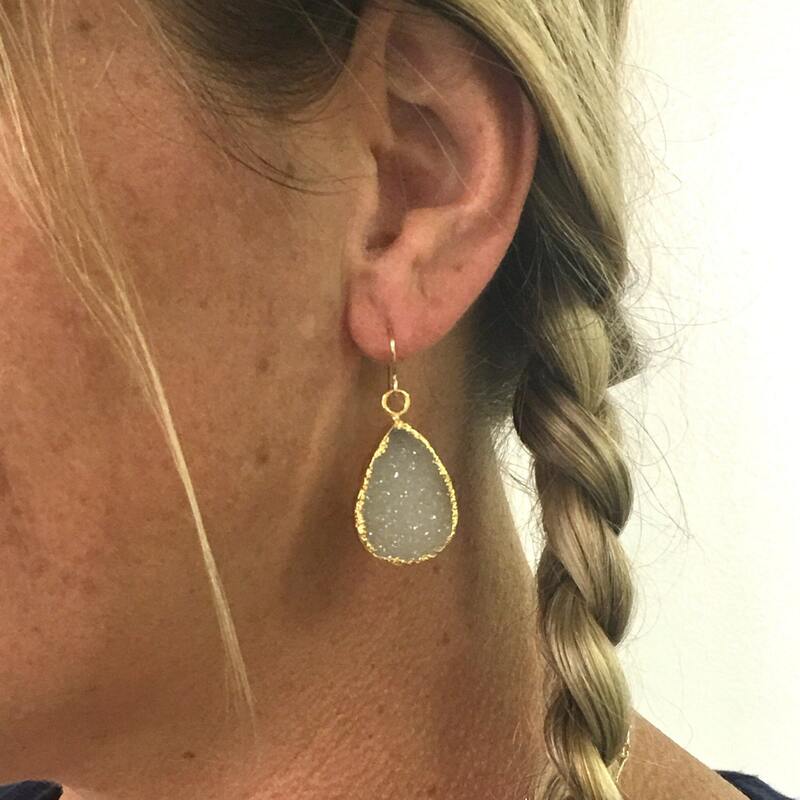 These drops are natural and organic, they are more like sisters and not twins. End to end the earrings are approx 2.0".